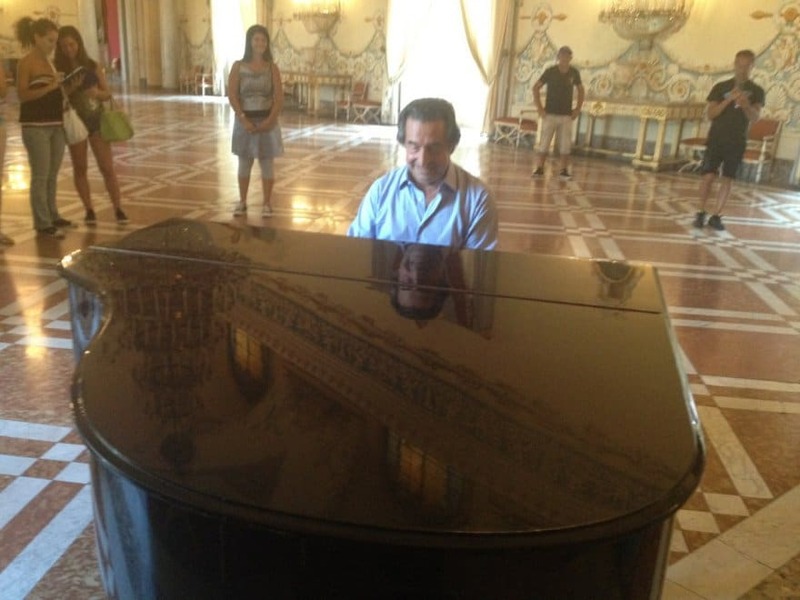 While Riccardo Muti was visiting the astonishingly beautiful Capodimonte Museum in Naples yesterday – on the first Sunday of the month which offers free entrance to everyone – he was recognised by a young cello student who asked for an autograph, and others followed asked for a photo. He met with Sylvain Bellenger, the museum’s director, who accompanied him around. One must know Naples because there is an extraordinary wealth of human creativity here — said the Maestro of his hometown — it is amazing, and it puts you in touch with beauty, not only of the Bay of Naples but of its culture. Beauty with a capital ‘B’ which has few equals in the world. Notwithstanding the fineness of the museum it is not a must on the tourist itinerary and doesn’t have the visitors it deserves. A little girl asked Bellenger what the most valuable thing in the museum is; You are, he answered. Entering the ballroom they came across a piano. Muti lifted the lid, at which point a 5-year-old girl started hammering the keys causing a guard to rush over. Bellenger tolds him that he’d done his job well, but maybe he would allow Muti to play it, which he did, to the delight of the tourists. Two minutes of a Chopin waltz enchanted all present. There are amazing works of Art in Naples.